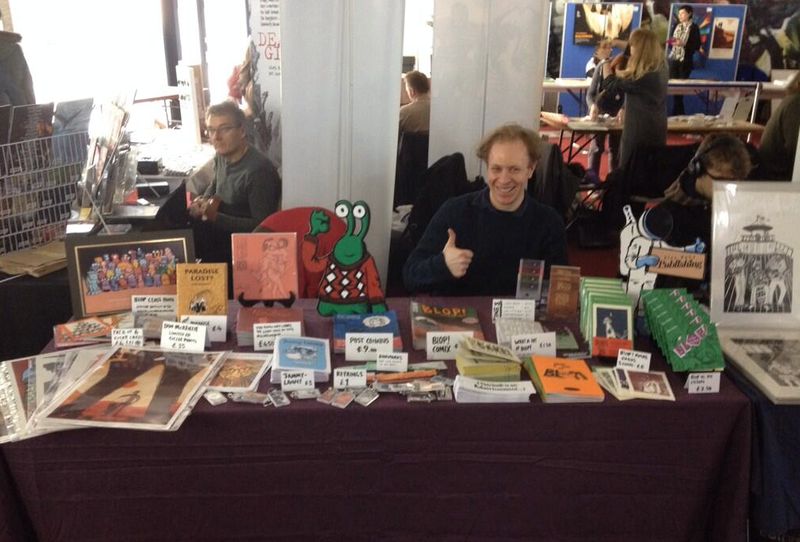 Thought Bubble 2013 -Thanks for coming! Alex Hahn Publishing returns from a successful weekend exhibiting at Leed's famous Thought Bubble convention. The table was manned by the award winning Dom McKenzie as well as Alex himself and -everyone's favourite Martian- Blop (though the third man was only a cardboard cut-out). Alex hopes to exhibit again next year, as well as at other shows during 2014. And Dom's Paradise Lost? can be bought here! A6 folded zine, folds out into two posters! 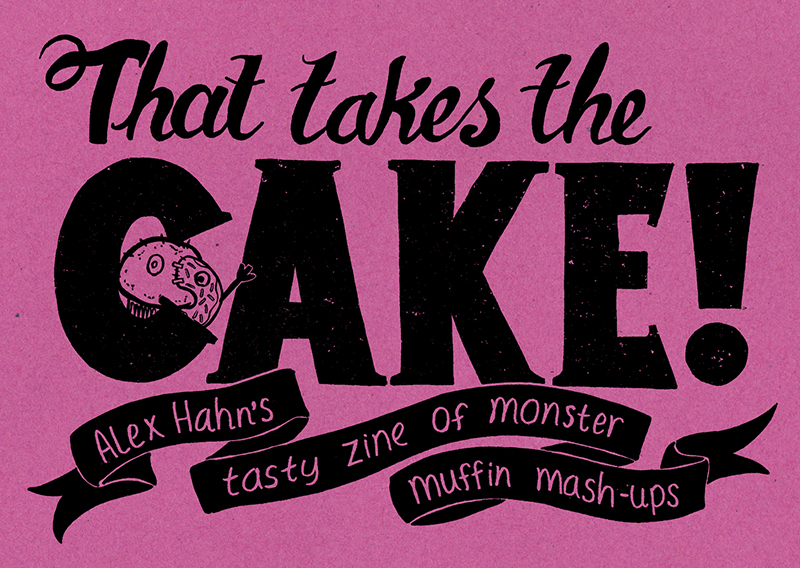 One side features a selection of characters that are all muffin/food combinations (Introducing the Muffnut, the Cruffin...) and the reverse has one big image of all the characters in a display case, wreaking havoc on the existing cakes. Following all the humour around the Starbucks 'Duffin' scandal or, Duffingate, as it was known. 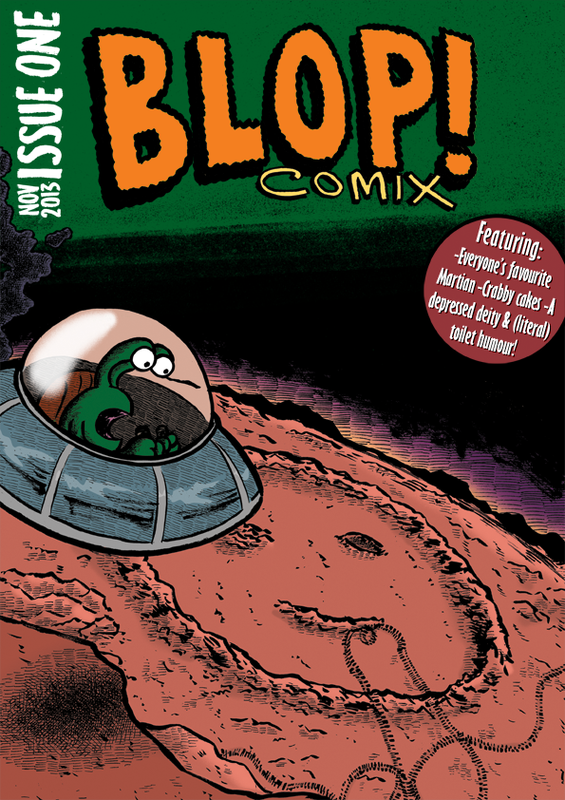 Anthology series featuring an eclectic mix of comic strips, short stories and cartoons by Alex Hahn. Includes material never-seen-before. 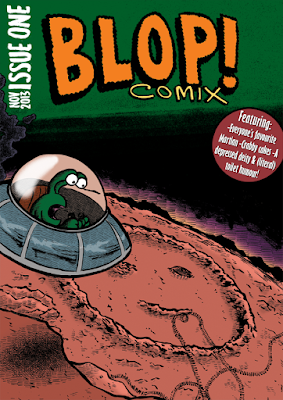 Continues the tradition of underground press comics, following the likes or Robert Crumb and Art Spiegelman. "Features everyone's favourite Martian, crabby cakes, a depressed deity & (literal) toilet humour!"